There was a time in my life when my favorite thing to do was find ridiculously sized series with giant novels that were obviously compensating for something. You know exactly what I’m talking about. You know, those series that just seem to keep going on and on and by reading them you had literally read 10’s of thousands of pages. Now that I have to do things, um, like work, I do not have the time to tackle such monstrous tomes. However, there will probably always be series that I hope to finish, one day (probably when I retire). For me, this series holds a special place in my heart, as I started reading it when I was 11 and it was only the second epic fantasy book I had read, second only to Lord of the Rings (my dad raised me right). But there came a point that I just stopped reading it. The books still hold a special place on my shelf, and one day, mark my words! I will finish them. This is another series my dad introduced me to. To try to inspire myself to read them again, I recently sat down to watch the MTV adaptation. Seriously? Why did the elves have to have man-buns? I don’t understand. Nothing makes sense anymore, and the books remain on my shelf. This is one of the weird exceptions, where I watched the TV adaptation and then went to find the books. In all honesty, I didn’t think the show was half bad, but the books could drag on. Still, I have heard they get better throughout the series. Jumped on the band-wagon here, didn’t I? I love the HBO adaptation and I am ashamed to admit that I haven’t finished the books. 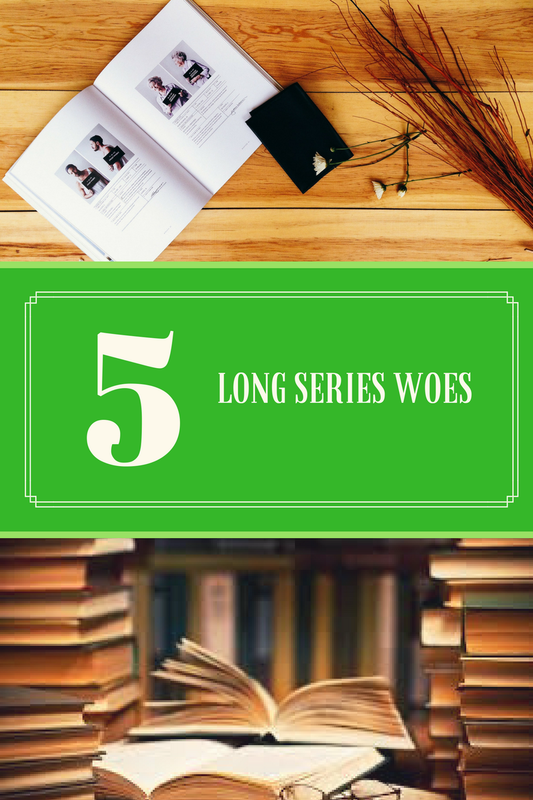 In comparison to the other series I’ve listed, this one is almost embarrassingly short. So pull yourself together George R. R. Martin and just finish writing them! Technically, I shouldn’t be allowed to put this one on the list, as I haven’t even started reading this series yet. But I have been meaning to for ages. But with 41 books currently published, it is a daunting task. What long book series have you struggled to finish? Think different ones should have made the list? Let me know!